You know you’re really going for it when the world turns 90 degrees and you find yourself sliding along on your Land Rover’s side. 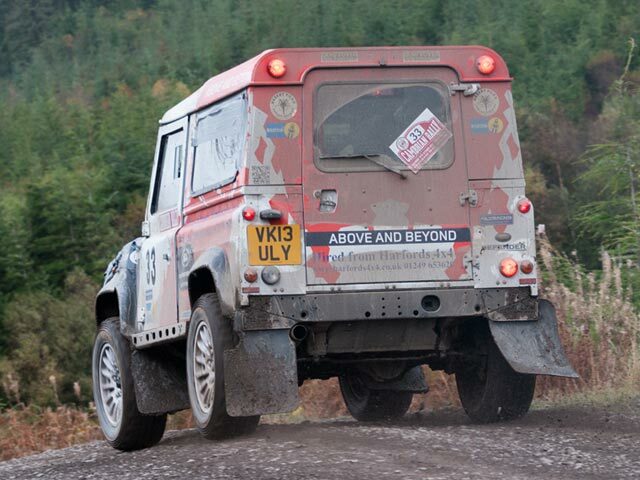 That’s the position two of the crews in the Defender Challenge found themselves in at the 2014 Cambrian Rally. Held in the forests of north Wales, the rally’s eight stages were tough on both man and machine. Of the 120 entrants in the rally, just 83 finished the event and although all of the seven Bowler-prepared Land Rover Defender 90s made it to the finish, they didn’t all do it unscathed. 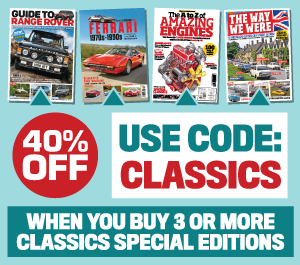 Damien and Simon Taft put their Defender on its side on Special Stage 2, but were able to rejoin the rally at SS5, competing the final four stages. Team Harford driver and LRO off-roading expert Edd Cobley was simply flying, but lost it on a corner on SS4. ‘It was just like glass, absolutely lethal that bend. I’m going to blame my tyres being bald compared to everybody else’s!’ He jokes. Edd clipped a bank, which slewed the Defender sideways and flipped it onto its side, crumpling the nearside wing and roof. An error with filing a timecard put him out of the running for the event, but he continued on the stages, and set the fastest time on the seven stages he stayed shiny side up for. The other drivers were struggling with the conditions too. Bursts of rain dampened the flinty surfaces and the preceding rally cars polished the surfaces. Richard Hayward has been driving consistently all season: ‘It was a bit slippery – we had times when we’ve thought “oh my god we’re sliding here – we’ve got to stop sliding”.’ Fortunately he kept the Defender on the road and finished with all of the panels straight and intact.